Hey that's actually a good idea. Identity politics wants to stop racism, but is racist itself. I should not have to choose a political party based on something I can't decide on. Identity politics is cancer, both on the right and the left. I think helping anyone is an act of virtue, but too many people care for themselves more than the community as a whole. Evidence please? Leftists do not have some alliance with Islam. Nah, that's gotta be Empire. Though some moments were absolutely brilliant, there were some bad scenes or wasted opportunities. Killing off Han Solo for one. I know that would have been controversial, but it would have added more stakes to the story. But the scene where Vader is unmasked was amazing. So...you have to join the military for free education and healthcare in America? I think I'd rather stay over on the other side of the pond. At first I found you to be some annoying troll, but now I just find you unintentionally hilarious. You can't compare abortions to slavery, slavery is much worse than late term abortions. I lock my doors, just in case someone tries to get in, but it's not really necessary. To be fair, emotional bullying can hurt you a lot more than physical bullying. Is this site a troll-haven now? Winning Position: Is this site a troll-haven now? Does homeschooling affect a child's social skills? Winning Position: Does homeschooling affect a child's social skills? Can we debate about topics not users? Winning Position: Can we debate about topics not users? "R.I.P. 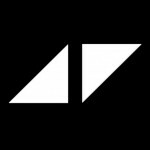 Avicii, you inspired a generation. Thank you. X"